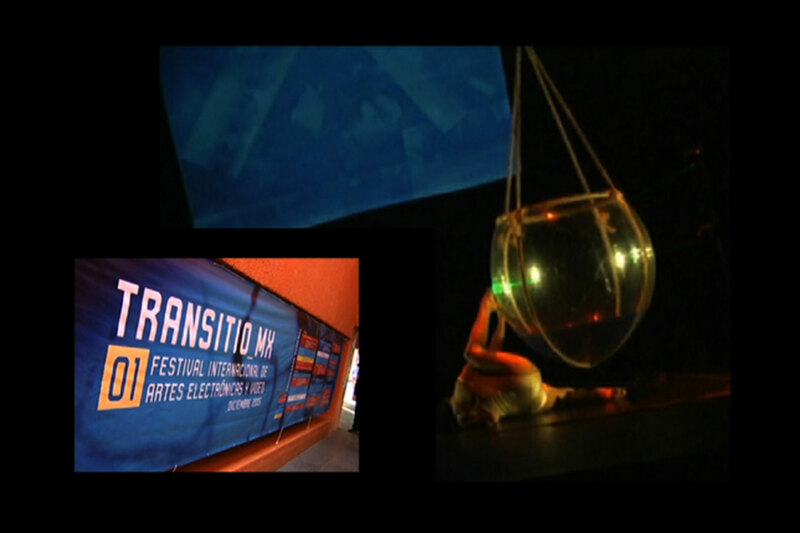 Lilia Pérez participated in the planning committee of the first edition of Transitio_MX. She helped shape and structure the festival while she was Deputy Director of the Center for Multimedia, the host institution and organiser. Lilia also curated the graphic image of the festival which was elaborated by the Design Lab of the CMM and she coordinated the Festival’s catalog. We live in a global context where technology has come to be ideologized as an identity mark of geographic regions and/or centers that set technological standards, a logic that promotes a technofetishism which in certain media art milieus is usually linked to these centers and drives artistic-technological innovation as a dogma that requires that novelty become an artistic goal. This milieu is also distinguished by the financial crisis of media labs, that have an ambiguous focus when they sporadically provide their services to the industry of information and art technologies. Given these circumstances, media art has been driven into a ghetto that is on the margin of the contemporary art establishment. In this context, the transitio_mx international festival, under the theme: Imaginaries in transit: poetics and technology , intends to shift the focus of attention to art media strategies that are to be assessed mainly by the ability to give meaningand aesthetic density. Practices where artistic craft and knowledge is meant to provide content to technology, rather than inquire into new technological prostheses or ergonomic relations with the public. Strategies which although taking advantage of new possibilities of microprocessor-controlled platforms, serve to articulate “open or in-process fictions” rather than “real time processed effects”. From this viewpoint, many of these mindware-artists operate on a “technological institution” that is provided to them, but that is redefined and subverted by them, in order to contain it within their symbolic production instead of allowing themselves to be contained by it. Practices whose poetics or narratives articulate themselves to the new possibilities offered by the media and transcend their artifactuality to create smart situations of exception. From this thematic perspective, where “producing meaning” becomes pivotal to the selection of works for the international exhibit, this edition of the transitio_mx festival seeks to delve into the wide range of transdisciplinary practices with emerging media, that address the issue of turning the physical or informational space, the sound and/or visual time, the interactivity and movement of the public or of the authors themselves, the generative quality of algorithmic works and of real-time processes into a “signifier”, or which seek to play a critical role as active net-subjects in the socio-political dialog. Therefore, beyond these process-related qualities that define the new narrative possibilities and artistic strategies of the media; this process of becoming a “signifier” involves going beyond the notions of user, interface, interactive, generative, telepresence, network, etc., displacing experiences in these environments, going from “informing of a novelty” to “expanding a belief”, from “understanding how it is used” to “grasping ideas”, from the relationship “mind-machine-body” to the relationship “mind-machine-body-mind”, displacing the imaginaries and rearticulating poetics and technology.